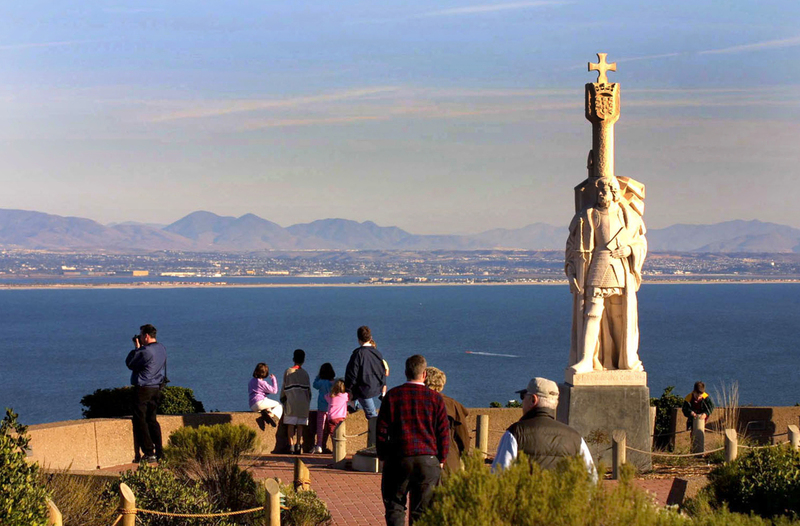 The annual Cabrillo Festival will celebrate its 50th anniversary this year and next month the monument itself celebrates its 100th birthday with a weekend long Cabrillo National Monument Centennial Celebration. The Cabrillo Festival commemorates the day in 1542 when Portuguese navigator Juan Rodriguez Cabrillo landed on the shore of what is now known as San Diego Bay. (He had christened it San Miguel.) Sailing under the flag of Spain, he was the first European to land on the west coast of what is now the United States. A highlight of the festival is the re-enactment of Cabrillo’s landing. “Cabrillo,” his soldiers and a priest sail into the bay on the San Salvador (The Californian from the Maritime Museum of San Diego) and once again claim the land for Spain. The big day is Sunday at Ballast Point – one of the few times the Navy’s nuclear sub base at the end of Rosecrans on Point Loma is open to the public. Festivities will include music, dancing and activities for children. There will be demonstrations of Kumeyaay basket making and knot tying. 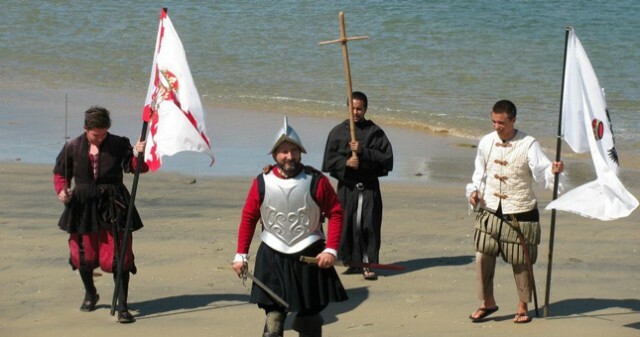 Visitors can view a 16th Century Spanish soldiers living history encampment. Vendors will native-American foods as well as foods from Mexico, Spain and Portugal. Cabrillo’s landing is set for around 1:00 PM. Next month’s Cabrillo Centennial celebration will include living history tours to the top of the lighthouse (from 10:00 AM until 3:30 PM on Saturday), bayside trail hikes, food vendors and entertainment. On Sunday, an exhibitor fair is planned at the Visitors Center Complex and actors portraying World War II soldiers will offer tours of newly restored military bunkers. The fun concludes on Monday, with an 11:00 AM centennial commemoration ceremony. This entry was posted in Attractions, San Diego Events and tagged carbillo national monument, celebration, centennial, Point Loma by Alison. Bookmark the permalink.